With the final Tax Cuts and Jobs Act now signed by President Trump—and many clients already asking their accountants what they should do this year in light of the bill’s provisions—Surgent’s internal team of tax experts has prepared an all-new professional education course, Critical Tax Reform Update for CPAs: The Tax Cuts and Jobs Act (TACT). This new tax reform webinar first aired live on Friday, December 22nd, with subsequent dates in December and throughout January. The live webinar will be presented by a panel of Surgent’s experts, who will provide CPAs and tax practitioners with a deep understanding of what’s in the final tax reform bill, as well as ways to effectively communicate how the final changes will impact individual and business clients. In addition to this new tax reform webinar, Surgent CPE is already updating its comprehensive 2018 curriculum to accurately reflect the tax reform changes and provisions that will soon go into effect. 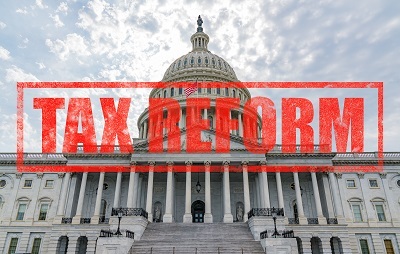 CPAs, accountants, and tax practitioners may register for this new tax reform webinar, Critical Tax Reform Update for CPAs: The Tax Cuts and Jobs Act (TACT) on Surgent’s website. The course began airing on Friday, December 22nd and will continue with dates throughout December and January. Please check our site often for additional tax reform CPE courses.